Creating fundraising tip sheets, social media post templates, and fundraising email content for your participants can make the task of the ask (yep, we went there) much less intimidating. Asking for $50 is not as effective as saying that $50 will provide clean water for a year to one person. Showing impact in the form of lives changed instead of dollars is a great way to inspire fundraisers and donors alike. Incentives such as merchandise or private parties can be tied to life-changing impact. For example, if participants raise $100, they get a t-shirt AND save 26 lives. Hire people who are passionate about your mission and be sure to inspire the people you do have! Your mission should be a part of your culture. Make your staff system experts so they can be examples when it comes to using the tools provided. Send your participants information on how to set up fundraising pages, how to make small asks, and how to use the tools in their fundraising center. Wondering how often you should email participants? A study by marketing Sherpa indicates weekly emails are most effective in staying top-of-mind without seeming like you’re nagging. You should never go more than two weeks without interacting with your participants in some way (social media counts!). For your $0 fundraisers, after a certain number of appeals to fundraise, switch to a donation appeal. Be sure to remind them that their registration fee covers costs and that a donation would make a big impact. Even better? 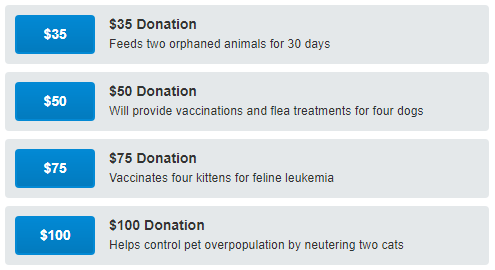 Set up the option to make a donation during the registration process. Pro tip: Subject lines are important. Use someone’s name in the subject line if you really need them to open it. Providing simple how-to videos about things like how to register for an event and how to make a donation can be very helpful to your participants. Make sure your videos are shareable so participants can distribute them via social media and email. You may not think someone needs a video on how to make a donation, but there are plenty of older donors and/or visual learners out there who really benefit from short tutorials! Here’s an example of registering for a Qgiv peer-to-peer event. Get creative and make fundraising enjoyable for your participants! 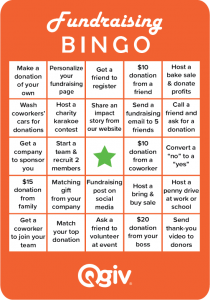 Try out some new ideas like a fundraising Bingo card. We even put together a template for you! One organization created a “What Kind of Fundraiser Are You?” quiz that provided fundraising ideas unique to each fundraiser type (“Nervous Nelly,” “Party Animal,” etc.). 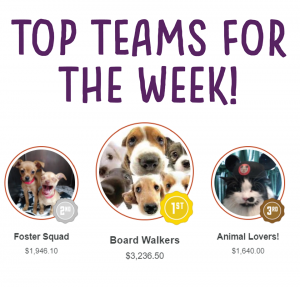 Try fueling some friendly competition by holding fundraising contests. For example, you could have a 48-hour challenge for teams to raise the most money that offers a great prize. 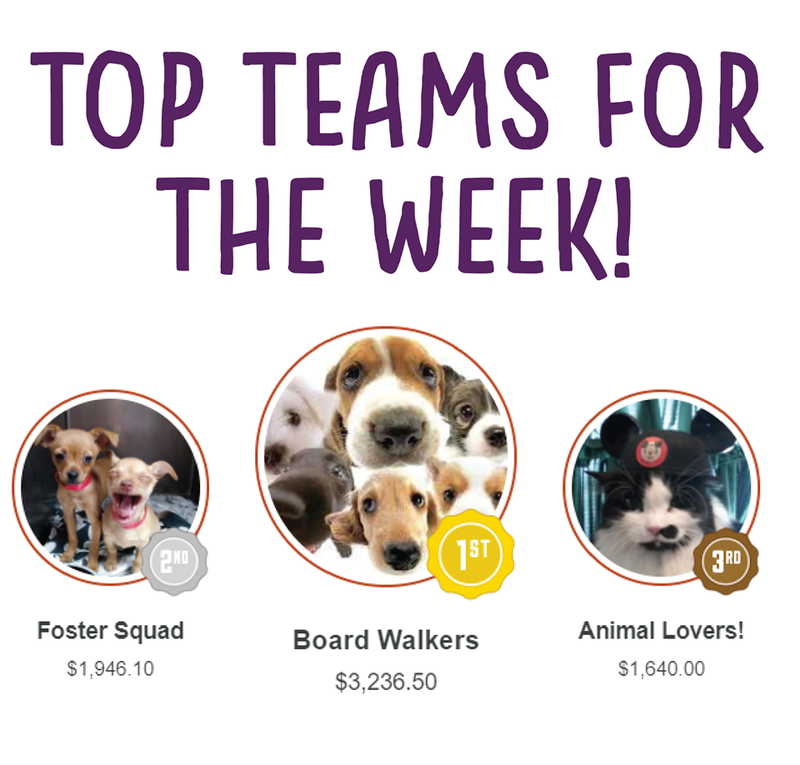 To get the competitors going, include images of your fundraising leader boards IN your emails and on your website (I can attest to the effectiveness of this… I was on a team that was displayed in second place in a leader board image. I immediately got to work writing appeal emails and social posts! ).